What? These school kids TURNIP for veggies? At some school cafeterias, students choose what they eat. When it comes to fruits and vegetables, kids might look the other way. But what happens when their produce come free of charge?! Scientists at the University of Bonn in Germany wanted to find out. The researchers surveyed over eight hundred elementary school students from multiple German schools. 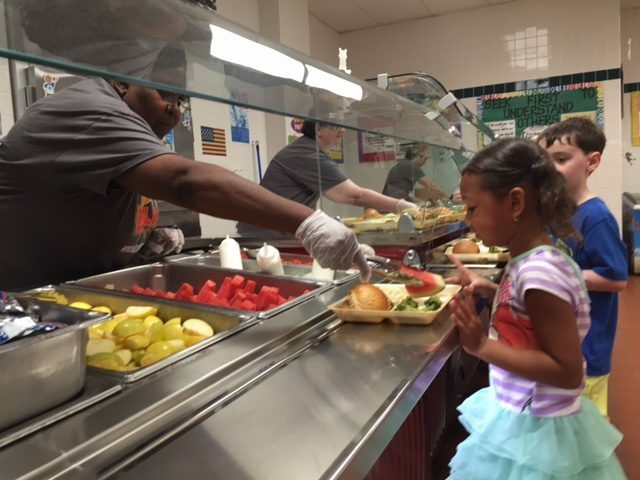 Some schools gave free fruits and vegetables to their students several days a week. Other schools did not. Surveys asked the students about their eating habits and nutritional knowledge before the study. They asked again a year later. Their investigative findings? The students ate MORE fruits and vegetables when their school handed them out for free! Researchers found the program can jumpstart long-lasting healthy eating habits. These same students said they would even PAY for fruits and veggies when they WEREN’T free! Now that’s a school program I’m ROOTING for!